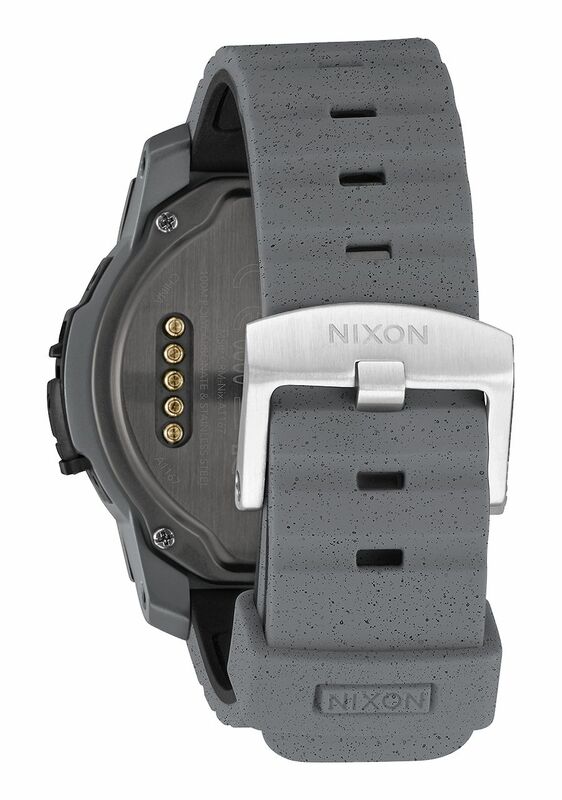 The Nixon Mission smartwatch is ultra-rugged, water resistant and incredibly smart. 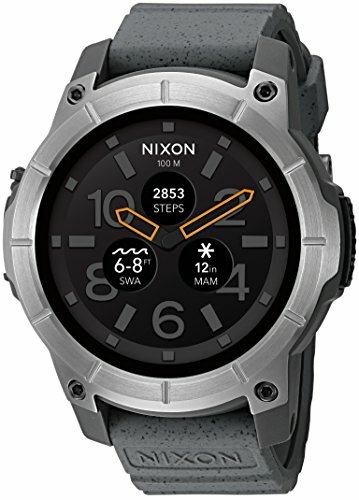 The Nixon Mission smartwatch can withstand the elements so you can take it with you anywhere: in the water, on the hill, off road and beyond. Featuring real-time surf and snow shred alerts powered by Surfline® and Snocountry. 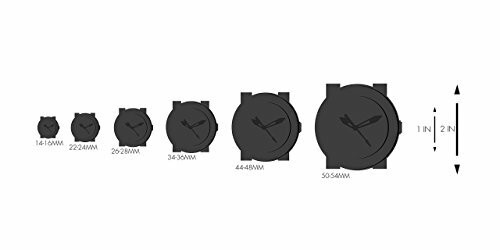 The watch case is made of durable injection molded, fiber-reinforced polycarbonate, to withstand the toughest conditions. Enhance functionality for daily use with popular Google apps, such as Google Fit, Google Play Music and Google Maps. You can also use the watch as a remote shutter for your phone, check weather conditions or receive flight notifications. The innovative Mic-Lock function gives you the ability to pop open the microphone for voice-activated commands (OK, Google), then lock it for perfect protection against water, rain or snow. The swappable bezels and watch bands provide full customization of your watch to match your style. These add-ons are available separately through Nixon. With groundbreaking water resistant capabilities, the Nixon Mission has the highest waterproof rating of any smartwatch on the market. The Mission’s patent pending MicLock™ lets you take all its Android capabilities in the water with you. Case is made of super durable 48mm polycarbonate. Ultra-tough Corning Gorilla Glass protection. Screen: 1.39 inch, round, AMOLED color display with 400 x 400 pixel resolution. Capacitive touch screen with multi-touch & wet finger technology. Ambient Light Sensor. Sensors: Thermometer, altimeter, barometer, e-compass, gyroscope, accelerometer, and humidity sensors.